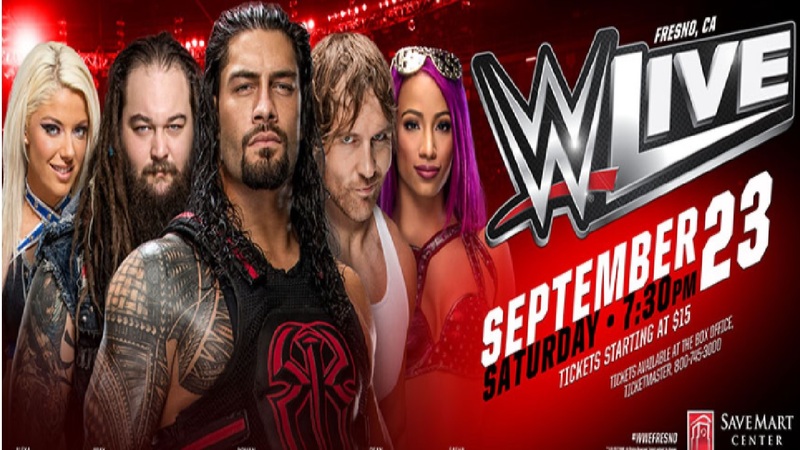 FRESNO, Calif. (KFSN) -- John Cena and Bray Wyatt are one of the featured pairings this Saturday night at the Save Mart Center as the WWE takes center stage. Tickets start at $15.00 and are still available. Doors open at 6:30pm, and the event starts at 7:30pm. Traffic is expected to be heavy around the Save Mart Center and the Fresno State area. You might want to plan to arrive early and allow extra travel time.